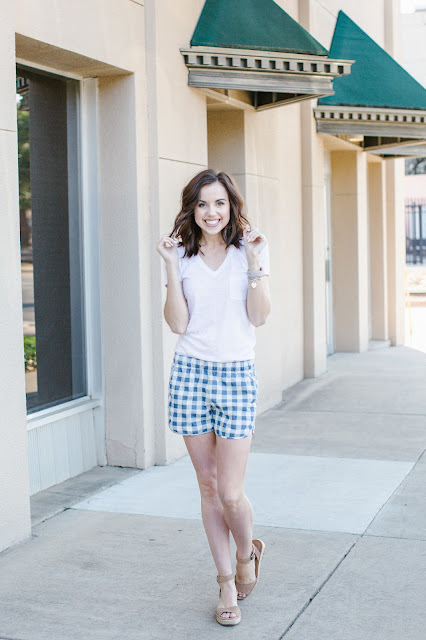 Today, I wanted to share an adorable summer outfit that can be cute, casual or a little dressy with a blouse. 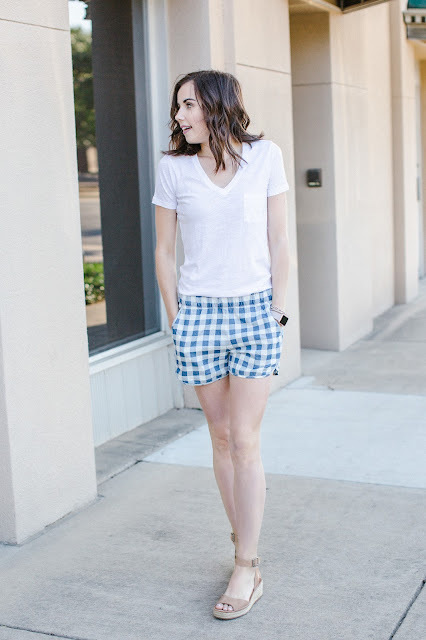 These shorts are my favorite part of the whole outfit. #obviously They are cotton, comfortable and fit great. I love that they are the perfect length. It's a struggle for me especially (and I know I say this a lot but it's true.. long legged girls can look a little less classy because the shorts are so short. lol 😉) The nice thing about the shorts is the pattern is fun without being too overbearing. You could rock another color shirt with it or something with a little more flare like this. They would also be the perfect 4th of July shirt, especially with a shirt like this. 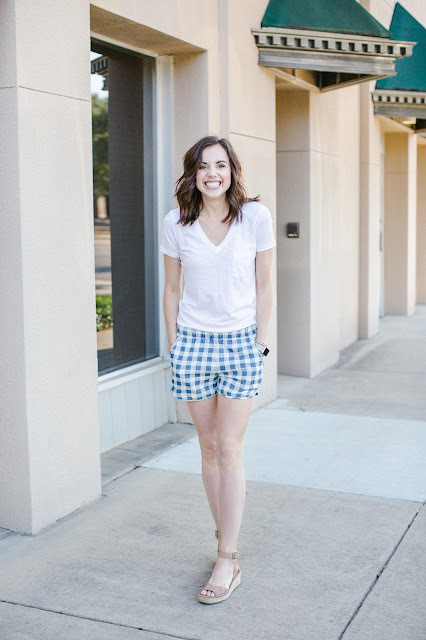 I hope this gave you a little outfit inspiration as we kick start June!! Thanks so much for reading, friend!